Mr. Burnham is back in this suspenseful thriller where there are so many twists and turns, I felt like I was on a roller coaster. You obviously know who does the actual kidnapping early, but it's the person at the end, you don't suspect to have taken Melanie. I do wish Vanished had a little more romance involved and that Olivia and Alexander were on the same page with everything, but overall I liked the book. Welcome back Mr. Burnham. I have been looking forward to spending time with you for quite a while. 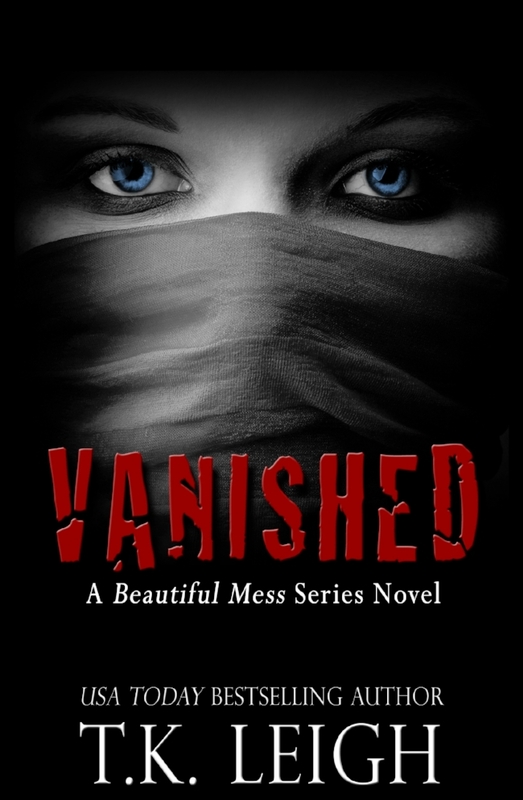 Vanished is unique. In my opinion it aligns itself more to the ‘suspense/thriller’ category than it does with the ‘romantic suspense’ as I had anticipated since it was a spin off of The Beautiful Mess series featuring Alexander Burnham. Don’t get me wrong, Mr. Burnham plays a starring role in this book and he shines like he always does, but I don’t feel the love like I wanted too. There was a disconnect for me that no matter how much I wanted it to be there, it wasn’t. This is a story of a missing child. On the surface it’s very simple, and then…. bam, it’s not. It’s dark, complex and layered with insanity. Had I been craving a straight up suspense I would have been elated to read this, but alas, I needed more… wanted more, more of how Alex and Olivia dealt with the tragedy together. How their connection became stronger. How they depended on each other to get through the hard times. How they turned only to each other for emotional support. I missed the deep rooted connection between a husband and wife, who are so much in love. They weren’t a force together but a force independently. And it left so much to be desired for me. That said, the writing was excellent and I’ll continue to read TK Leigh’s work, but this one just fell flat for me. And that, makes me sad.